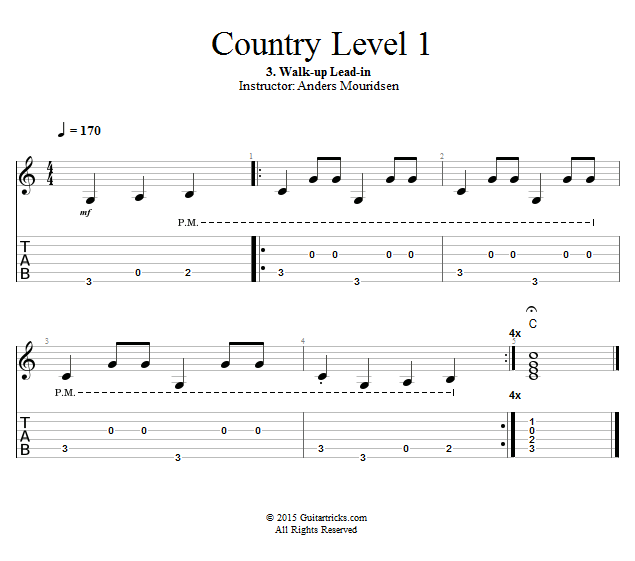 In this first lesson we're going to explore one of the most classic melody lines used in Country. This is the basic walk-up from the V-chord, and I'm sure you'll recognize the sound of it. This walk-up can be used to lead into a country groove or it can be used within it in order to "break up" a longer segment on one chord.